With toys strewn across the floor, piles of papers all over the dining table and jars of unidentified food pushed into all corners of the pantry do you ever stop and wonder just how much more pleasant your home life could be if everything had its place and you could start afresh? Enter super-organiser Adele Blair, who has written a step-by-step guide to organising your home with all the secrets and inside scoop on how to do it. Even as a little girl, Adele’s idea of a play date with a friend was to rearrange her bedroom. 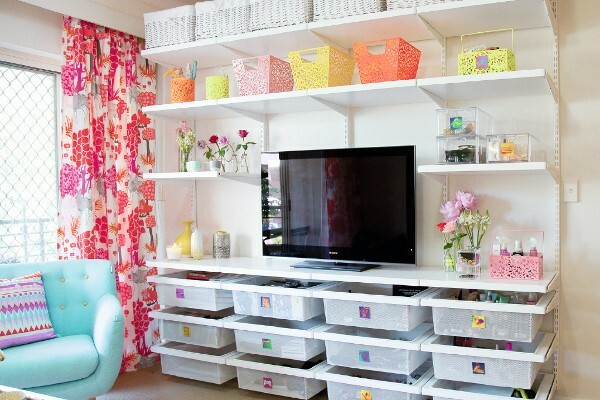 Leading an organised life, she promises that by clearing the unnecessary junk fom your home you can also clear the stress that comes from being surrounded by clutter. “Some mums might find that at school drop-off they’re in a panic because they can’t find their child’s shoes,” Adele tells Babyology. Adele says clutter causes stress, but her practical guide – called Home – instructs the reader how to achieve the result they want, as if a professional organiser was beside them, telling them what to do next. “Home is like a recipe book and you pick the chapter you need and read from there. You don’t need to read the whole book before you start,” she says. 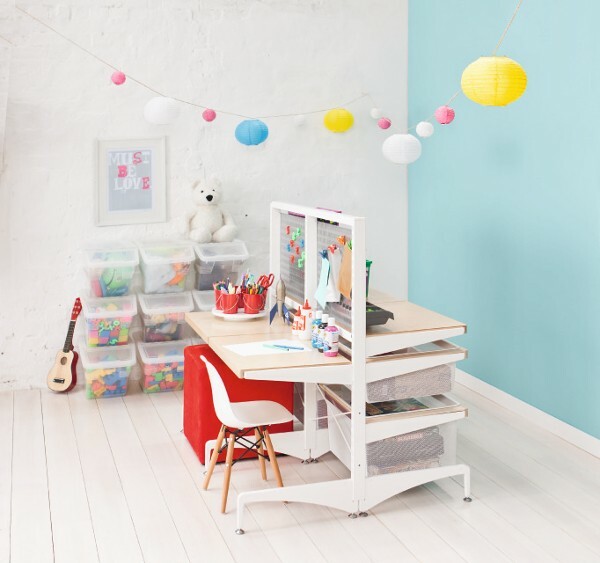 Glossy illustrations throughout will inspire people to get to their goal with storage solutions for where stuff goes and how it’s managed – but first they should have a clear-out. The book helps people decide what can go. “Have a purge to start. If not, all you’re doing is moving the clutter from one place to another. Please don’t go and buy anything at this stage, you might find the storage you think you need changes,” says Adele. Every member of the family will soon be used to the new routine and learn that “this is the way it rolls”, helping the whole family flow. “Everyone should be across it. If dad comes home and throws his gym bag on floor he can’t get annoyed at the kids for throwing down their school bags in the hall,” Adele says. The author says the biggest issue in the family household is toys. Dropping some toys off to a charity is a start. “Kids have so many. Keeping it all comes from mother’s guilt, they’re worried about what if their still child wants it after they get rid of it,” Adele says. Adele’s top tip is putting the unloved toys in a box in the garage for six months. “Put a date on the box and if the contents aren’t missed after that time then don’t open it, take the box straight to charity,” she advises. Home by Adele Blair is available online or from bookshops. Need further help getting your home in order? 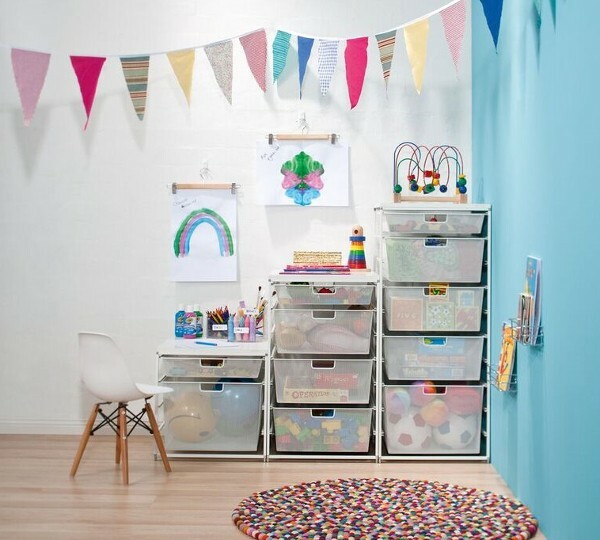 You can also take a look at the 10 easy steps to clean and organise your baby’s room.